Brisbane Posts & Beams has been operating from our Brisbane Northside base for over 20 years. We have grown in that time to have dedicated, friendly and experienced staff. Brisbane Posts & Beams prides itself on its quality products and friendly service. The aim of our business is to continually improve service and do what we do now better. The products we specialize in are steel house columns, steel beams and steel stringers for the domestic building and renovating market. Brisbane Posts and Beams are equipped to service customers from all areas. We have trucks that deliver daily and we can also arrange transport on your choice of carrier. We believe that by specializing in these products we can be more efficient and control quality. This makes for fast, efficient and economical products without compromising quality. 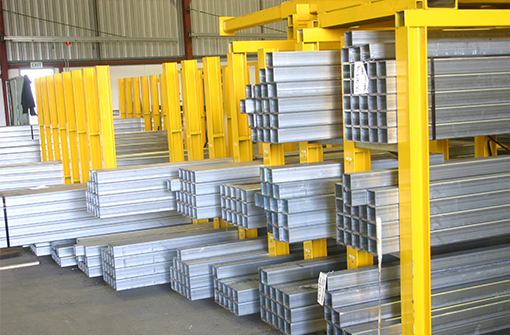 Brisbane Posts & Beams is constantly striving to offer our customers the best possible quality at competitive prices. Thank-you for visiting our site. We hope you find it easy to view as well as informative, please contact one of our friendly staff if you require any further information.